His short story collection, Ephraim’s Eyes (Pewter Rose Press) was named a “Best Book of 2010” on National Radio in New Zealand and was praised by reviewers for the “mastery of the short story” (Takahe) and “stories that resonate with compassion and insight” (Left Lion, UK). He is the author of three books of poems: Etymology (Cinnamon Press, UK), praised for its “conjuring tricks with language, performing a rhetorical sleight-of-hand masterful in technique” (Landfall); A History of Glass, which was selected for publication by Stephen F. Austin State University Press (U.S.) as part of its national manuscript contest, a collection praised by a reviewer as “delicate and translucent…treasures to unpack” (Takahe); and most recently Native Bird, part of Makaro Press’s Hoopla Series (NZ), which rose to number 6 on the NZ Fiction/Poetry Best-Seller List, was a four-time Poet’s Pick on NZ Poetry Shelf, and has been praised for its “sharp, self-deprecating awareness” (NZ Listener), for the way it “transforms the ordinary” (Booksellers NZ) and as “one of those books where the poems reach out and hold you in the grip of attention” (Paula Green, NZ Poetry Shelf). His work has won a number of awards, including the James Wright Poetry Award from the Mid-American Review and first prize in the New Zealand Poetry Society International Poetry Competition. His work has been shortlisted for, among others, the Rattle Poetry Prize (U.S.) and the Montreal International Poetry Prize. Bryan has an interest in science and its links to literature. He is the author of the scholarly monograph, Resistance to Science in Contemporary American Poetry (Routledge), which a reviewer for the British Society for Literature and Science said “makes an important contribution to the study of contemporary poetry and science.” He also has written about the links between poetry and mindfulness in his book Poetry and Mindfulness: Interruption to a Journey (Palgrave Macmillan), called “a ‘must read’ for anyone interested in art, literature, and the role of conscious attention in the discovery of new meaning and beauty in the world.” An essayist, he received a Dialogica award (Australia) for writing about poetry for a general audience. An award-winning former journalist, he has written for more than a dozen publications, such as The Washington Post. He has been the poetry editor of the literary journal Segue, based at Miami University of Ohio and Bravado in NZ. Born and educated in the United States, he teaches creative writing as a Professor in the School of English & Media Studies at Massey University in Auckland, New Zealand, where he has received a national Tertiary Teaching Excellence Award. 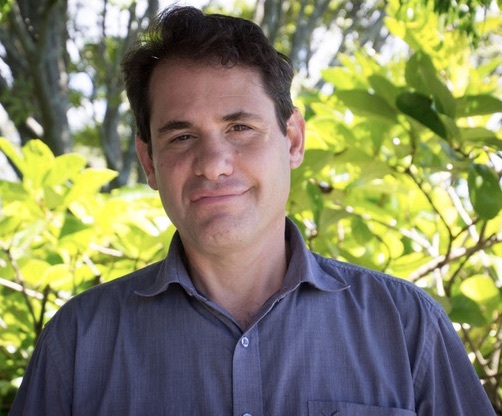 He has judged the Bronwyn Tate Memorial Award in Poetry, the Royal Society of NZ Science Book Prize, and the Ockham New Zealand Book Award in Poetry.